Choosing the proper beginner guitar can be quite a headache-causing process. You can find so many good and high-quality beginner guitars on the market today, making the process of picking out one extremely hard. Luckily, there’s our guide that will show you what to look for and we will review the best beginner guitars we could find in order to narrow down your search a bit. Here are our top picks of the best beginner electric guitars on the market. There are numerous things you need to consider when buying the first electric guitar. Electric guitars are constantly evolving and there is a wide range of different models. We will try to cover the basics and explain to you the most important things you need to keep in mind when purchasing an electric guitar. Of course, the price is always going to be the number one factor to consider when buying an instrument. As a rule, the price dictates the quality, but there are some exceptions. The good beginner guitars usually cost around $250-$500. There are, of course, cheaper guitars, but we highly recommend that you stay away from those because they are usually absolute garbage. On the other hand, we also wouldn’t recommend that you go for the too expensive ones. As a beginner, you really don’t need a professional-grade instrument and you should wait until you build u some skill and develop an ear for a tone before picking out the expensive instrument. The tonewood is the type of wood used in the construction of the guitar. This is one of the most important factors since it dictates the quality and the characteristics of your guitar sound. Since you are a beginner, we won’t go to too much into details, we will just simply explain what are the most commonly used types of wood and how they affect the tone. Mahogany – Mahogany is a very resonant wood and creates a great sustain. Maple – Maple is very common tonewood and it has a brighter tone with more trebles. Rosewood – Rosewood is the most commonly used tonewood and it has a very balanced sound. This type of wood is also very often used for fretboards. Ebony – Ebony is quite dense and hard wood and it creates very balanced tone. Ash – Ash has a nice sustain, very bright tone, and a quite punchy midrange. Alder – Alder also has a nice sustain, bright tone, and a quite good midrange, but it’s a bit cheaper than the Ash. Nato – Nato is a mahogany-like type of wood and it creates a very warm sound. There are 3 types of bodies when it comes to electric guitars. Each of these three types has its pros and cons. Hollow body guitars, as the name suggests, have a hollow body. These electric guitars are quite similar to acoustic guitars which give you a great resonance. However, with the hollow body, you might have some feedback problems. Semi-hollow body guitars have a solid wood block placed in the center of the hollow body giving you warm sound and great sustain. Solid body electric guitars are the most common type. These guitars can’t really have that much of a sustain and resonance, but they are much sturdier and much more durable. Which type should you choose highly depends on your personal preference. However, if you are a beginner and you are not sure what to choose, we highly recommend that you go with the solid body. With the solid body you don’t have to worry about accidentally breaking your guitar. The resonance and the sustain are really not that important for the beginners, especially when it comes to electric guitars because you can always modify your sound with guitar effects and your amplifier features. Now, pickups are the electronic parts of an electric guitar which pick up the vibrations from your strings and transfer them into a signal that goes into an amplifier that transforms it into the sound. When it comes to pickups, there are two factors to consider – the type and the layout. When it comes to the type of the pickups, the most basic type is a single coil pickup. Single coil pickups produce a bright and very crisp sound that really cuts through the mix when you play with other people. However, the single coil pickup can very often create an unwanted background noise and generate hum. The second type is the humbucker. This type is designed as a solution for the single coil pickup hum. However, it offers a slightly different sound. The sound of the humbucker is more powerful and heavier. These pickups are an excellent choice if you prefer rock or heavy metal music. There are also active pickups. These require the battery to operate. Active pickups come with a preamp and they offer an additional sound shaping controls on your guitar. Active pickups are used for more controlled and cleaner sound and higher output. When it comes to pickup layouts, the things are a bit more complicated. Different models come with different layouts. Since you know what are humbuckers and single coil pickups, you will easily understand the layouts because they are marked with S for single coil and H for the humbucker. From the neck towards the bridge, you can find many different layouts and combinations. The important thing to remember is that the pickups closer to the neck will give you more mid and low range, while the pickups closer to the bridge offer more treble. Since you are a beginner, we recommend that you choose the guitar with multiple pickups so you can tune your sound and explore the combinations. As one of the top of the line electric guitars among beginner guitarists, the Les Paul Standard by Epiphone is a magnificent other option to the notable yet expensive Gibson Les Paul. In spite of the fact that it can never offer an indistinguishable level of value from the first one, it doesn’t disappoint. The tonewood is mahogany, and the top is made of maple. In spite of the fact that it may not be the best decision, regardless it offers a fair sound and feel in this value range. The neck is made of maple, with abalone trims. You’ll unquestionably be astounded how agreeable and simple this guitar is to play. When it comes to the pickups the alnico humbuckers supplement the wood decision pleasantly, as they offer a clean and murmur free sound. With the tone and volume control, and the pickup selector switch, dialing in that flawless sound is simple. A standard Tune-o-Matic bridge keeps the tuning secure while offering tallness and pitch alterations. On the off chance that a vintage tone is what you’re searching for, the Epiphone Les Paul Standard is a strong choice. As it handles both clean and distortion settings pleasantly, the adaptability it offers settles on it an unequivocal decision if you anticipate trying different things with various genres of music. Despite the fact that Yamaha isn’t one of the top electric guitar brands, with their emphasis on various instruments, the Pacifica PAC112v is a standout amongst the most well known electric guitars for learner players. With a standard, plain outline, with no uncommon and recognizing highlights, the Pacifica leaves the impression of yet another low-level guitar. But the first impression lies in this case. With alder as tonewood of decision and a bolt-on maple neck, this guitar is quite comfortable to play around with. Assemble quality is more than respectable, and it can and will take some serious beating before you begin to perceive any scratches. By settling on a marginally unique pickup format including a bridge humbucker and not one, but rather two single-coils at the neck and middle position, the great people at Yamaha tended to the issue which most tenderfoot level guitars have. With this pickup format, you are not constrained to playing even the more high-gain requesting genres, as the humbucker can pull off that chug effortlessly. This guitar is an ideal case of why some of the time getting an all the more high-quality model even for an apprentice, pays out over the long haul. As a guitar with numerous qualities not exclusively does it introduce a well-disposed condition for beginners, but at the same time, it’s an instrument that most musicians happily get even after quite a while of playing. The alder body and maple neck give a strong sound, with punchy mids and an extremely pleasant sustain. The bridge pickup is a strong humbucker, and middle and neck pickups are single-coils. In spite of the fact that this kind of pickup design isn’t that common, the sound it gives is intriguing, no doubt. The adaptability and flexibility you get with this guitar are unmatched, as you can utilize it for any style of playing and genre. Not at all like most other Telecaster guitars, the sound of this one is shockingly forceful, essentially in view of the bridge humbucker. Fender is very well known for their high-quality instruments, as should be obvious by this models premium specs. As we all know, Fender guitars have a tendency to be costly. As a range to the musicians that either can’t or don’t have any desire to spend a little fortune on their instruments, Fender chose to concoct a budget line of guitars, now known as Squier. The Bullet includes a standard Stratocaster look, with the essential distinction being the tonewood. Basswood utilized for this line of guitars isn’t in the same class as alder, however, it does a proper job. The neck profile is a duplicate of Fender’s more costly models, and for this situation, as a learner, you won’t generally have the capacity to differentiate. The delicate tremolo bridge, being produced using generally shoddy materials, works, however that is about it. Try not to anticipate that it will keep the tuning on the off chance that you anticipate going hard on it. The weakest purpose of this model is certainly the pickups. The 3 single-coils sound alright, yet additionally, tend to deliver buzz which can bother. As the sound goes, it’s what influences it to clear this is an entry-level guitar. The range isn’t that amazing, yet inside that range, you will get a conventional sound. 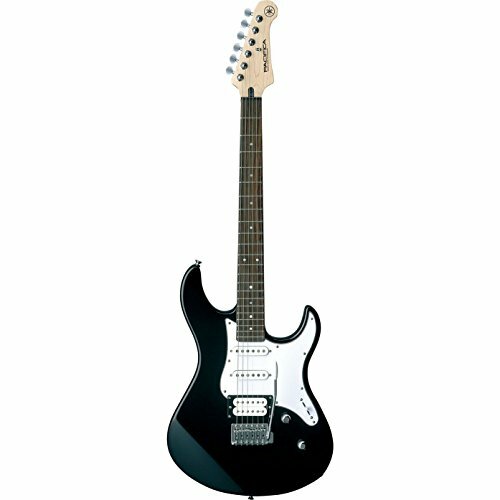 Ibanez has been making great quality electric guitars, for the both beginners and expert guitarists for a long while. The RG450DX is no exception. Including the outstanding Ibanez outline, this model shakes a mahogany body, which is to some degree rare in less expensive guitars. Adding to the general great looks is a Strat-style pickguard. Supplementing the mahogany body, the wizard III series maple neck is viewed as exceptionally comfortable, which is an imperative factor for each learning guitarist. On the off chance that style is critical to you, the considerable thing about the RG450DX and most Ibanez guitars is that you can browse a wide range of hues. The Std. DL tremolo bridge gives you decent levels of controls with regards to playing vibrato. Well known for their incredible selection of pickups, the people at Ibanez settled on an HSS format. The bridge and neck pickups are ceramic, and the middle one is alnico, conveying genuinely an adaptable sound with various pickup blends. So, what is the best beginner electric guitar? That strongly depends on your personal preferences. 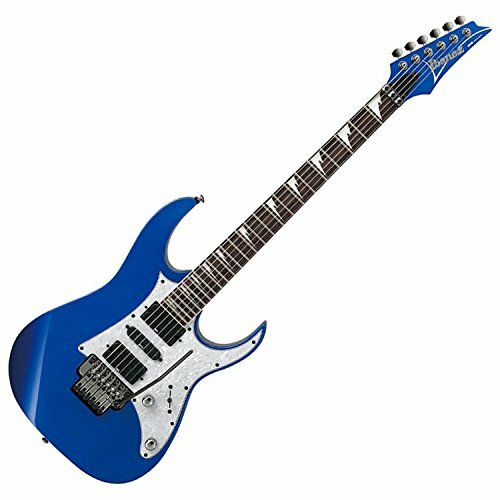 However, if we have to choose the winner, in our opinion, that’s the Ibanez RG450DX. It was the close run, but the Ibanez wins because of its powerful performance, solid build, and sleek design. Not only that, but this guitar is also a very good investment because it will serve you even when you became a bit more experienced and you master the basics. It’s an overall good electric guitar that looks good and can take some beating. It is a great instrument for you to start your guitar journey on the right foot.